Initially formed during the 1960s and 70s, the GPDA sees drivers come together to discuss any safety and driving concerns at each Grand Prix weekend. The group initially sought better safety standards, before folding in the 1980s. They reformed in 1994, and have since focused on improving circuits, cars, driving styles, and safety gear to improve the sport. The GPDA emerged in the early 1960s, hoping to bring the drivers together in a union that could push for improved conditions and better safety in the sport. Throughout the 1960s and 1970s, the group was very active in lobbying the governing body to improve standards for drivers. In 1982, the political situation between the commercial and governing bodies of Formula One proved too difficult for the association and it folded. During the 1994 season, the GPDA was reformed. It had initially been talked of ahead of the San Marino Grand Prix, and following the tragic death of two drivers that weekend, the plans went ahead at the following race. Two years later, the association became a limited company, setting up a headquarters in Monaco. The drivers come together at every race to discuss conditions, safety, any specific concerns and more. A vote is taken amongst members to decide the chairman, and two additional directors. Membership is optional, and comes with an entry fee that forms the budget for the group. Previous chairpersons include Stirling Moss, Michael Schumacher, and Rubens Barrichello. 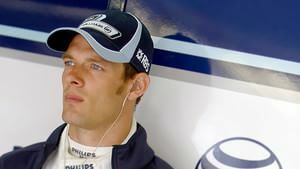 The current chairman is former F1 driver Alex Wurz.